i m sure that u r believer of a false prophet that is paul. first read my question that invalidates ur greek pagan heretical version of judaism which is christianity said by a chosen one of god a jew called maimonides. Read my 60 questions that invalidates ur pagan cult of judaism called christianity. I don't think it is brother Isa's comment. As far as I know he is a Muslim. He just wants to clear up his confusions. If I can't get this problem fixed, I will convert to a new blog that will allow for special characters, and will also preserve the links of the already existing posts and threads on this forum. I know of one that is already out there. It costs money and it's not cheap. But if this issue isn't fixed, I will just go for it, Insha'Allah. These are for everyone to read along. I will write a detailed article and rebuttal about this topic, Insha'Allah (if Allah Almighty is Willing). I will also include David Wood's "Death of Muhammad" video, and prove that the Glorious Quran truly remains the Divine Truth of Allah Almighty! 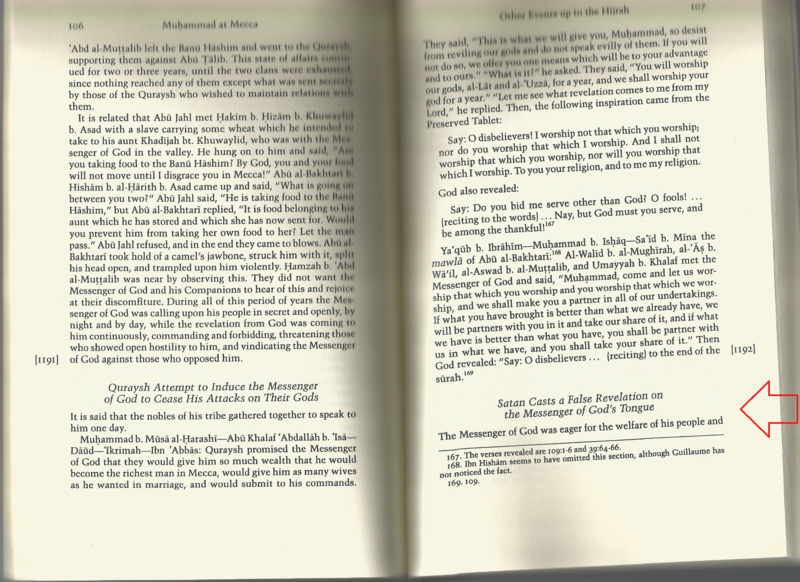 1- The Quran declares Itself to be Divine, and that Muhammad is a Messenger of GOD Almighty. (a)- Seize Muhammad from his right hand (meaning make him powerless). 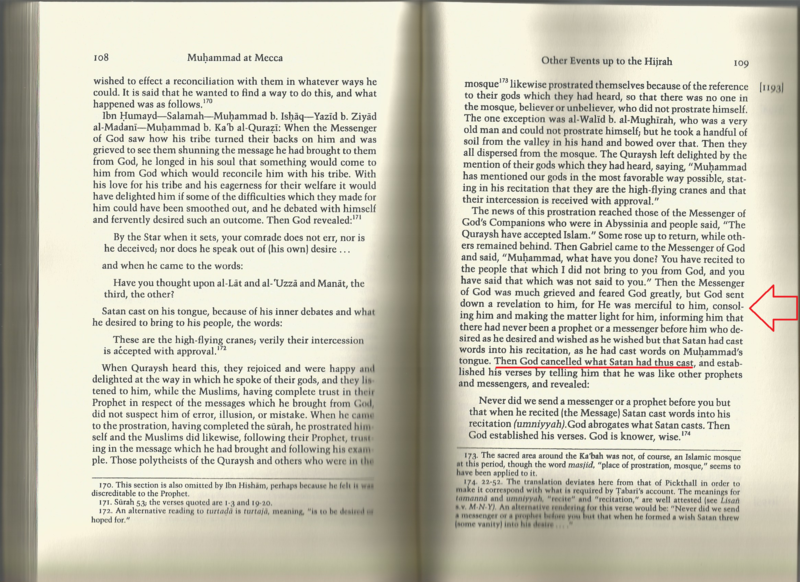 (b)- Kill Muhammad by cutting or severing his oarta. [069:042] Nor the word of a soothsayer; little is it that you mind. [069:043] It is a revelation from the Lord of the worlds. [069:046] Then We would certainly have cut off his aorta. [069:047] And not one of you could have withheld Us from him. [069:048] And most surely it is a reminder for those who guard (against evil). [069:049] And most surely We know that some of you are rejecters. [069:050] And most surely it is a great grief to the unbelievers. 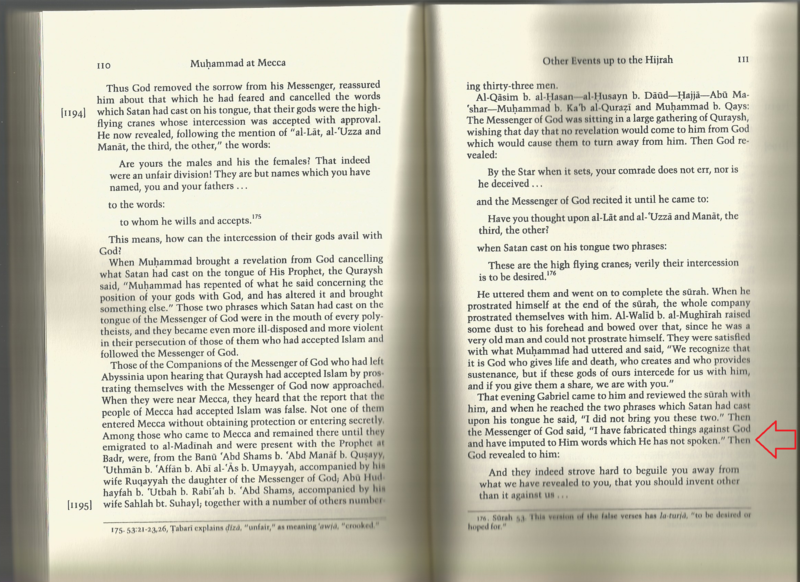 3- According to several Islamic sources, Muhammad claimed that he felt his aorta is being cut or severed before he died. 4- According to several Islamic sources, Muhammad was so weak during his final days, that he had to be carried by his companions to move around and to go to places. 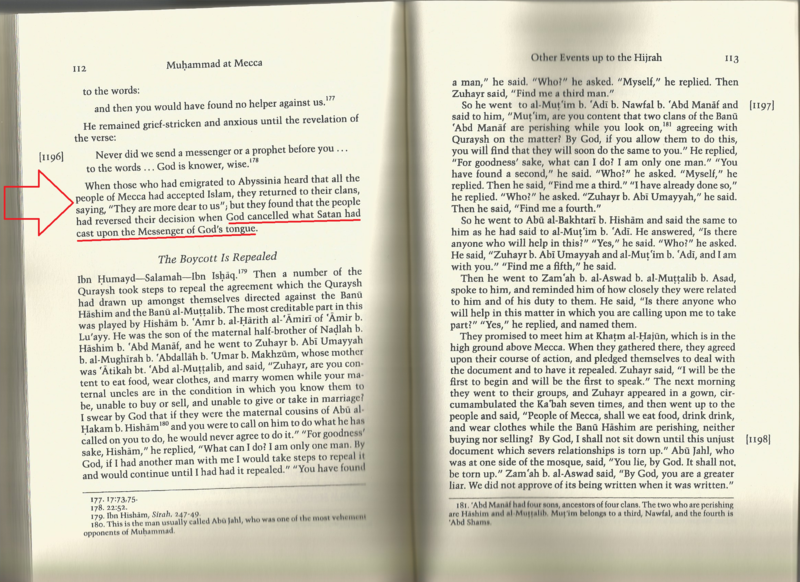 Therefore, Muhammad was a false Prophet according to David Wood. If your theory is true, and that Prophet Muhammad did sin against the Holy Quran through the satanic verses, which Allah Almighty had cleansed them from the Holy Quran and kept the Holy Book Perfect and error free, then how about saying that what was a Divine Warning and a Divine Promise from Allah Almighty to the Prophet in the Holy Quran, turned into a perfectly fulfilled Divine Prophecy! And even in your worst case scenario, David Wood, the Holy Quran is proven over and over and over again to be the Divine Truth from GOD Almighty. More on all of this soon, Insha'Allah. Jazak Allah Khairan for the print outs! What about the Prophets that Israel murdered? Were they also false prophets? Which prophets were said to be killed by the Jews? (002:061) ...They were covered with humiliation and misery; they drew on themselves the wrath of Allah. This because they went on rejecting the Signs of Allah and slaying His Messengers without just cause. This because they rebelled and went on transgressing. (2) When Elijah denounced the Jews for their worship of Baal and invited them to retun to monotheism, Ahab, the king of Israel pursued him for the sake of his pagan wife so that he had to take refuge in the mountains of the Sinai peninsula. On this occasion, according to the Bible, he said: '. . . the people of Israel have forsaken thy covenant, thrown down thy altars, and slain thy prophets with the sword., and 1, even 1 only, am left; and they seek my life, to take it away' (1 Kings 19:14). (8 ) The same hostility to Prophets is evident from the life of Jesus. The priests and political leaders of Israel ultimately became inflamed against Jesus, who criticized them for their impiety and hypocrisy and invited them to true faith and riahteousness. It was this which prompted them to prepare a false case against him and persuade the Romans to sign a death sentence. Later, when the Roman governor, Pilate, asked them which of the two prisoners - Jesus or Barabbas, a notorious brigand - should be released on the occasion of the feast, they asked for the release of Barabbas and for the crucifixion of Jesus (Matthew 27: 20-6). This is a shameful chapter in the record of the Jewish nation, to which the Qur'an refers here in passing. It is evident that when a nation chooses its most notoriously criminal and wicked people for positions of leadership, and its righteous and holy men for gaol and the scaffold, God has no alternative but to lay His curse and damnation on that nation. Why this book still exist? When it an un-authentic and is filled with full of lies. yeah, Al-Tabari has many problems with it, we shouldn't carry it's burden any longer, secondly Hadiths are for claryfying the Qur'an, not for the Prophet's Alledged "Testimonies", so this belongs to the Trash can also. that Christian used as argument quoting Muhammad (pbuh) as false prophet as he couldnt differentiate between words of God which is truth and false. The Holy Spirit@ Gabriel function to guide prophets and that is what The Spirit did in situation above if one wish to regard the story shared by Tabari as true. No issue. It makes thing clear that revelations from God are always protected. Jeremiah 23 exhibits that Israelite covenant with God had been disgraced and filled with falsehood. Chance will be given to Israelites during the period of Messiah to redeem themselves and still the outcome is the same as told in Isaiah 53. As for Christian saying poison caused the death as he was false prophet. Then was it due to death of poison affecting the internal body parts since he is a mere human or poison due to transmitting false revelation. By checking the stories we found that the affect of poison had been delayed for years. For it is a miracle as proof towards the Jews that the prophet was indeed transmitting verses from God and he did not add or remove a single word transmitted by Holy Spirit onto him. The Christians enjoy them self by cut and paste At-Tabari vol 6:111. They smile happy and think as if they are the winner. Check mate! They say. Our Prophet Muhammad said: “I have fabricated things against God and have imputed to Him words which He has not spoken.”. They do not give us the whole words but only this. Why? Because they don’t want you to see the truth of the whole story.